One of the greatest vocalists to ever come out of Great Britain is surprisingly 94 years old. Dame Vera Lynn was the force's sweetheart during World War II. Although she hasn't sung publicly since 1994, her records still sell in the millions. 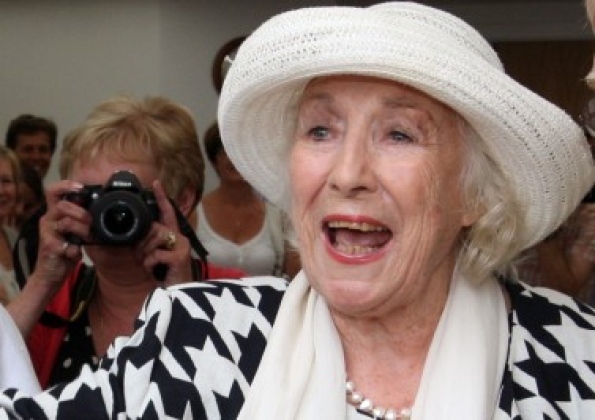 Dame Vera Lynn still makes appearances throughout England for various causes. 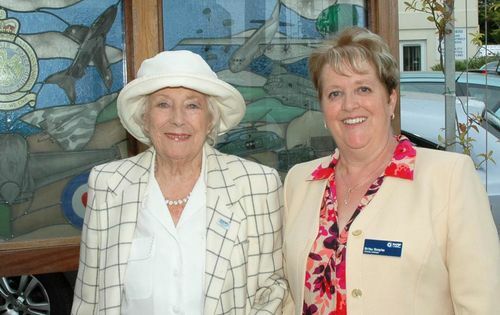 Dame Vera Lynn recently visited Princess Marina House in Rustington as a special guest at the home’s Annual Garden Party. On the day Dame Vera met Sir Robert Wright, Controller of the RAF Benevolent Fund, as well as staff and guests of the home. Dame Vera was introduced to several guests including Joan Owen, who served in the RAF during WW2 as a Plotter. She also met the RAF Guinea Pig Mr Jack Perry and his wife Mary, who are frequent visitors to the house. Shirley Steeples, General Manager of Princess Marina House said: “We were delighted that Dame Vera could join us for our annual garden party. This event is a great chance to thank the local community for their support and to raise awareness of the work of Princess Marina House with both serving and former RAF families from across the UK. Princess Marina House offers short welfare breaks in a relaxing environment for anyone who has ever served in the RAF, as well as their partners and dependants, with 24 hour care on hand if required. Dame Vera Lynn also recently appeared at the Queen Alexandra Hospital Home Open Day celebrations. Famous disc jockey David Jacobs also attended the event to announce the winners of the grand-prize draw and visitors got the opportunity to meet original forces sweetheart, Dame Vera Lynn DBE, as she signed autographs. Dame Vera was also presented with a special cake, made in her honour by special Brighton chocolatiers, and the cake was then shared with residents and sold off to the public for a small donation. Very nice salute. Did you see the new movie Captain America? If they did a sequel and needed someone to play the girlfriend of Cap in the present day (assuming the character lived), Vera would be the perfect choice.